I can’t believe I never shared this book! I hope some people get to visit the museum because of it! 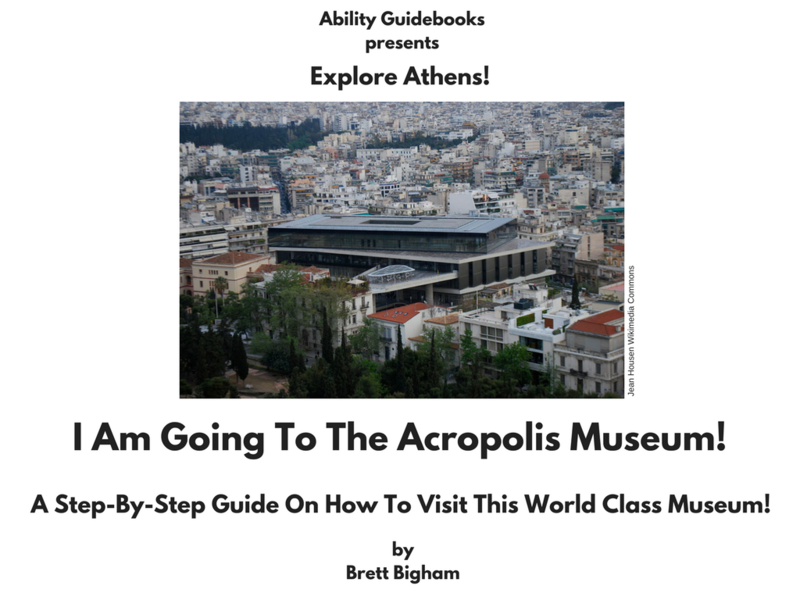 Ability Guidebook_ I Am Going To The Acropolis Museum! So pleased to do something good for one of my favorite cities in the world!! I Am Going To The Church Of The Holy Apostles! A Free Support For People With Autism In Athens, Greece! The Ancient Agora of Athens has several different buildings to visit. There is a book to visit all of the sites as well as several individual books for the buildings. 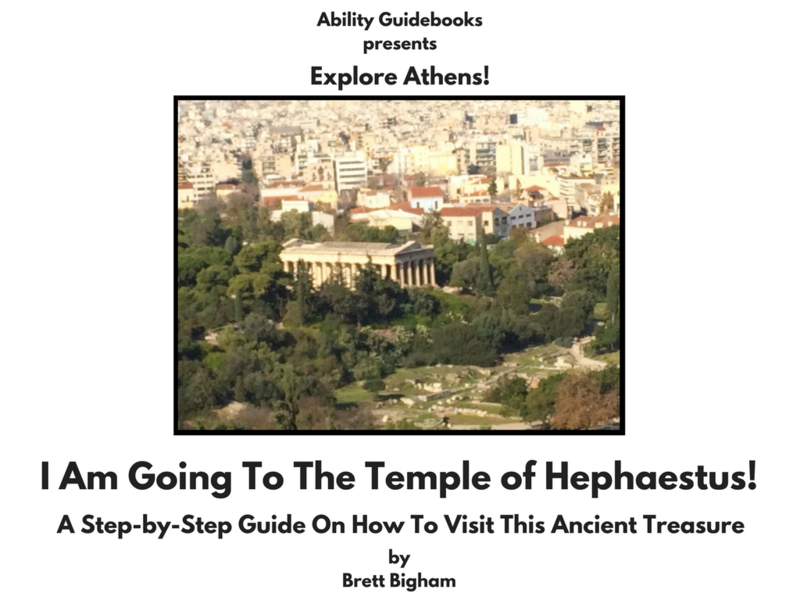 I hope this helps someone with autism have a great day visiting the historical sites of Athens! Ability Guidebook_ I Am Going To The Church of the Holy Apostles. 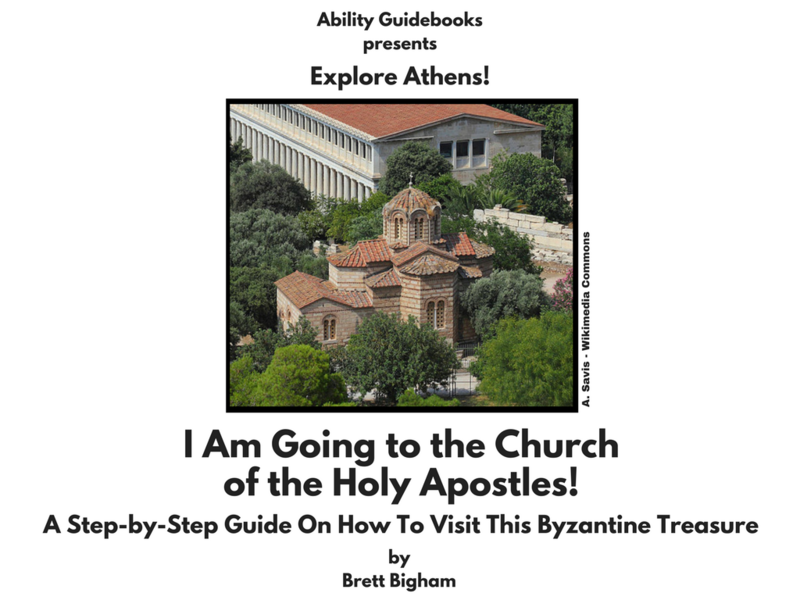 Author Brett BighamPosted on November 17, 2017 Categories Ability GuidebookTags Ability Guidebook, Athens, autism, brett bigham, Byzantine, Church of the Holy Apostles, Greece, oregon, teacher of the year, αυτισμόLeave a comment on I Am Going To The Church Of The Holy Apostles! A Free Support For People With Autism In Athens, Greece! 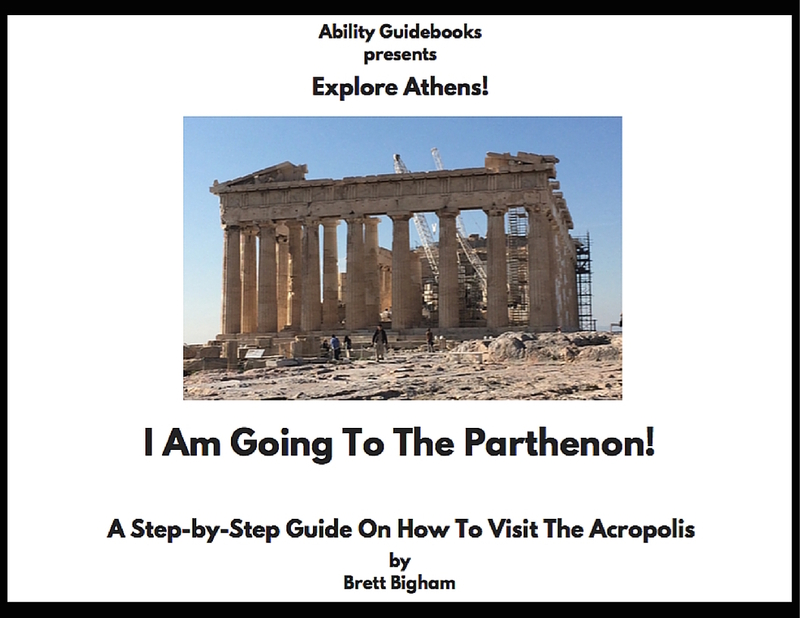 Today We Celebrate Athens, Greece With Several Ability Guidebooks! 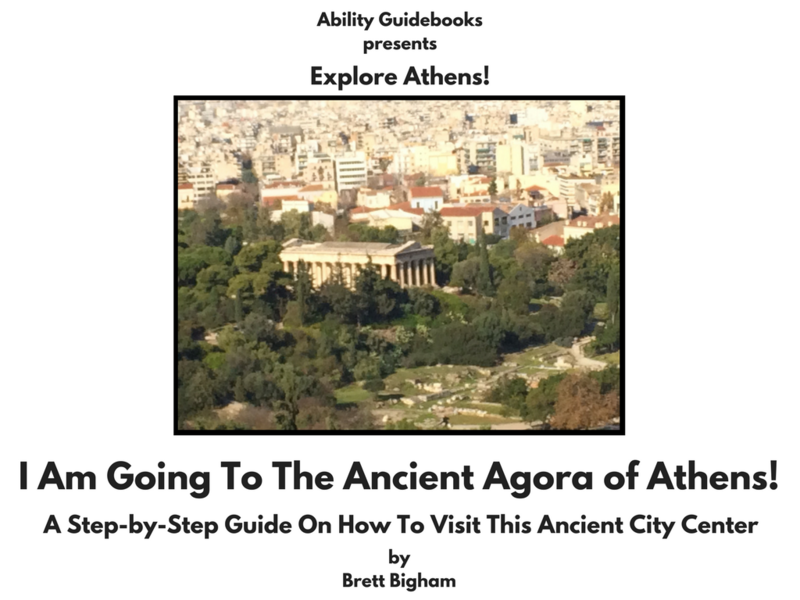 I Am Going To The Ancient Agora Of Athens! As I work to get caught up on all these books I made a discovery today. I had made several books for Athens, Greece that I never put online! So, in honor of the wonderful city of Athens I present…. 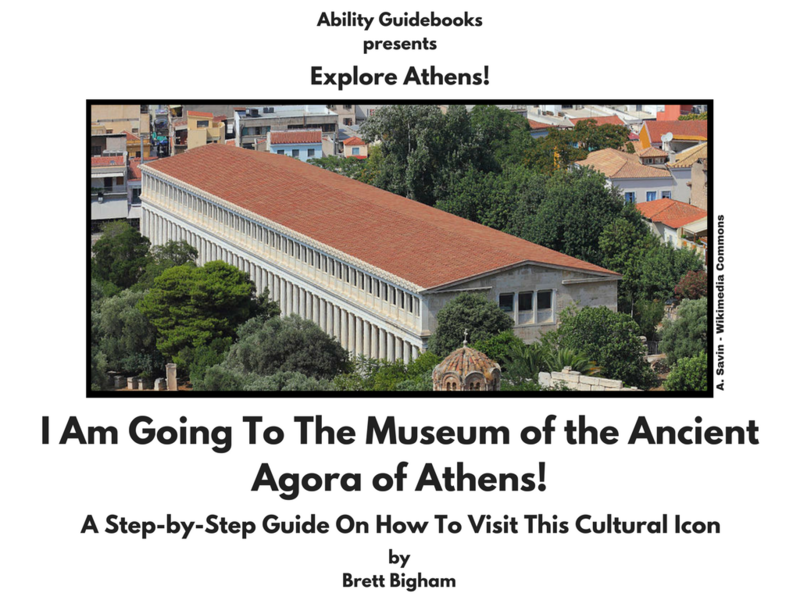 Ability Guidebook_ I Am Going To The Ancient Agora of Athens! 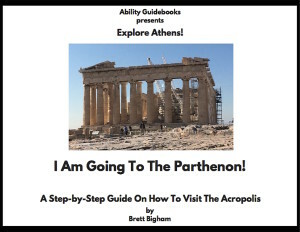 Author Brett BighamPosted on November 17, 2017 Categories Ability GuidebookTags Ability Guidebook, Agora, Athens, autism, brett bigham, Greece, oregon, teacher of the year, αυτισμόLeave a comment on Today We Celebrate Athens, Greece With Several Ability Guidebooks! I Am Going To The Ancient Agora Of Athens! When I write an Ability Guidebook I do my best to take all of my own pictures. But the one thing I am always lacking is maps. Most maps are copyrighted and the ones that have been generously shared online, often don’t have the information I need. Maps are an important way for people with autism to get an idea of where they are going on an upcoming journey. I know my books are better when they contain a map. 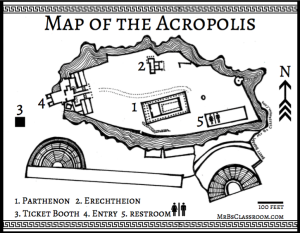 In April I needed a map of the Acropolis and found several online maps that I could publish, but, oddly enough, none of them had the restrooms marked on them. They were a mix of ancient architecture and modern viewpoints but they lacked the information my book needed. I could have doctored up somebody else’s map but that didn’t seem right. 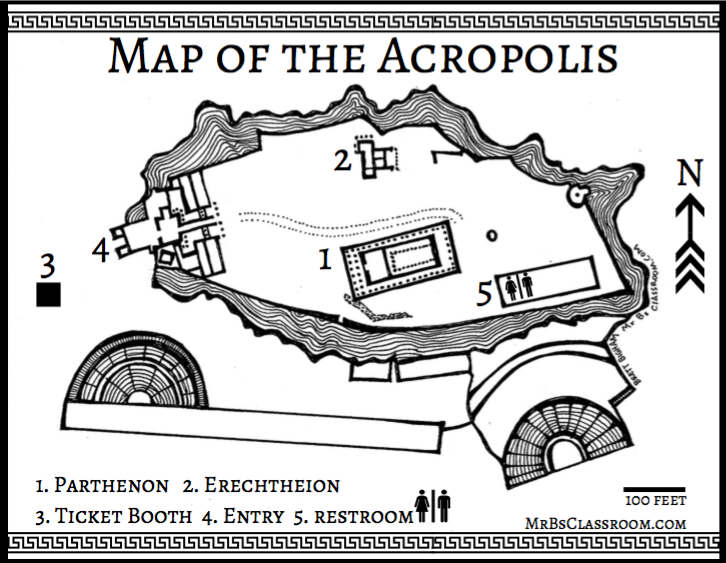 And so I spent a Saturday creating a map of the Acropolis. Now I’m the first to acknowledge I am not a graphic artist. But sometimes need pushes us to work outside of our comfort zone. I needed a map with dark bold lines (for our friend’s with visual issues) that was simple in that it contained only the necessary information. That map didn’t exist and so now it does. That last sentence is important to me. “That map didn’t exist and so now it does.” That is how I feel about my books. They are supports for people with autism and other neuro-diverse people. Some of those people need a support like this to get out into the world. That support didn’t exist so now it does. What I’m doing didn’t exist so now it does. That’s how I’m contributing. That’s how I’m leaving a mark. I’m setting an example, doing some of the work and trying to inspire others to jump in and contribute. 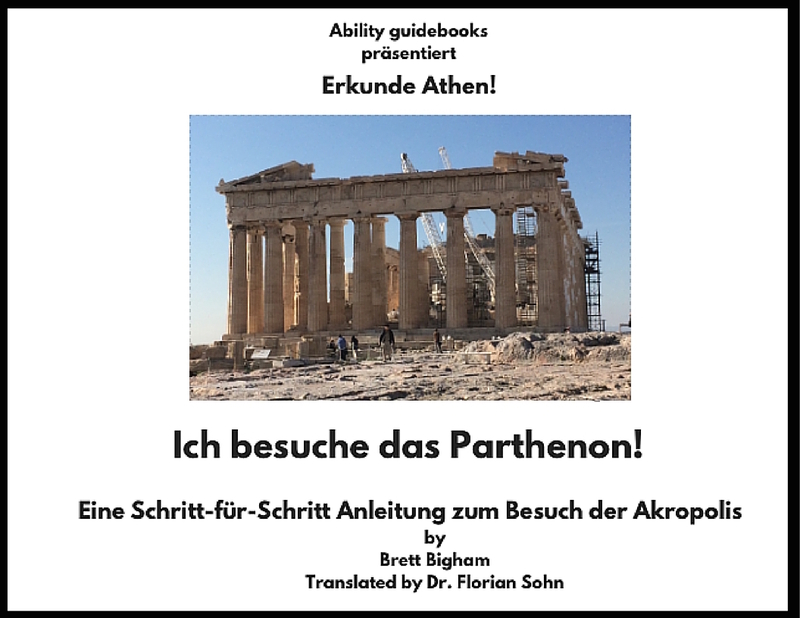 This week Dr. Florian Sohn translated “I Am Going to the Parthenon” into German. That support didn’t exist for German speakers so now it does. And that is why I spent a Saturday drawing a map of the Acropolis. 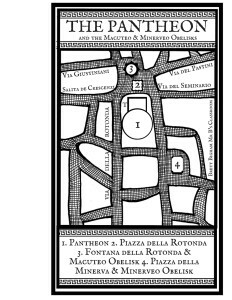 That’s why I spent this Saturday drawing a map of the Pantheon. 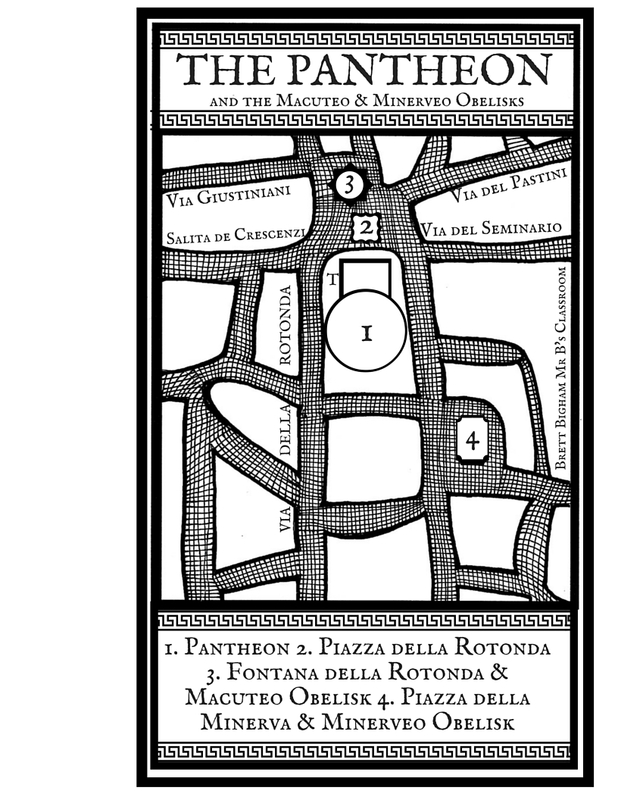 That’s why I will probably spend next Saturday drawing a map of the Roman Forum. Because I want change and I’m willing to work to make it happen.